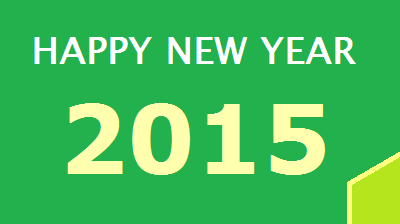 I wish all the readers of "Just Get PMP" a happy and wonderful new year 2015. My best wishes for a year filled with peace, joy and prosperity. For those of you who are preparing for the PMP Credential examination, my wishes to clear the exam and obtain the PMP credential at the earliest. If I can help you in your journey to the PMP Credential, I would be very happy. For those of you still on the wall, thinking whether to go for it or not, please take the first step and work towards achieving the PMP Credential.